WATCH: Lexus Hoverboard in Action | Nerd Much? 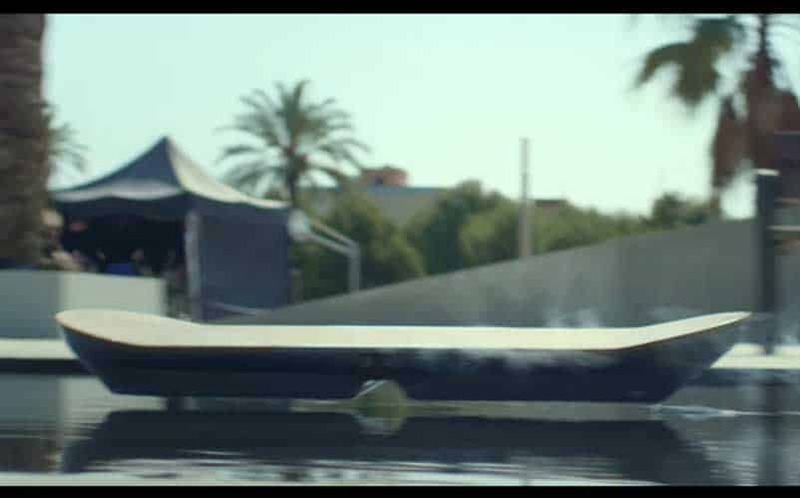 The highly anticipated Lexus Hoverboard has finally been unveiled, with the luxury motorcar company releasing impressive footage of the board in action. The Lexus Hoverboard is a cool bit of technology that uses superconducting magnetic levitation to achieve its hover. Unfortunately, it’s limited to magnetic metal surfaces, which it requires to work properly. To show us how it works, Lexus embedded nearly 200 meters of magnetic track into a specially constructed skate park so that testers could check it out. The Lexus Hoverboard hovers just 2 inches over the ground with weight on it, and a 3 inches without a rider. It is also limited by the fact that it requires liquid nitrogen to be poured into it every ten minutes in order for it to function. Still, so far, it’s the most fun-looking hoverboard concept we’ve seen so far. In fact, the video shows it impressively hovering over water (like the iconic scene in Back to the Future). Also, it appears to be much more agile than the Hendo hoverboard we saw last year, with the Lexus Hoverboard being speedier and easier to maneuver. Hopefully, Lexus can iron out these minor limitations and send this exciting development out to the mass market in the near future. Because, let’s face it, if you can lead the market for high-end cars, why not lead the market for high-end hoverboards.